Shia LaBeouf doesn't mince words these days about his feelings toward his three appearances as the onetime (human) lead character of the Transformers movies - or his feelings about ever-controversial Transformers director Michael Bay. But however the quixotic young star feels about his work in retrospect, his character is part of an increasingly complex Transformers movie mythos that stretches not only into the two films (so far) made after his departure but also reaches back into the distant (fictional) past. And since his character's connection to the story was established as tied to said past, that means even if LaBeouf is done with Transformers... Transformers isn't necessarily done with him. LaBeouf's character didn't exactly have the easiest time in the Transformers films, not only being constantly imperiled at the center of giant battles between robots ten times his size but also being dogged by nosy parents, obnoxious bullies, alternately disinterested or demanding love-interests and a succession of bad bosses. But true fans will recall that even before the story began he was already saddled with the weight of the especially cumbersome surname of "Witwicky," a real but rare/vanishing family name of Polish/Ukrainian extraction that probably wasn't fun to go through the American school system with. 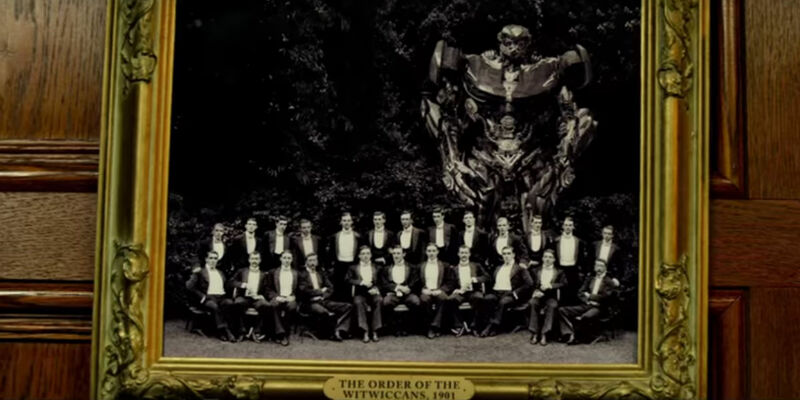 Of all things, calling LaBeouf's character "Sam Witwicky" was one of the sole explicit nods to the original "G1" Transformers cartoon/comic-book continuity in the first live-action film; which otherwise actively avoided associations with earlier versions apart from the names of certain Autobot and Decepticon characters: "Sparkplug" Witwicky and his teenage son Spike were the original main human characters in both the original Marvel Transformers comics and the 1980s animated series - the latter being easily the most widely-seen narrative version of the property to exist prior to the films. Sparkplug and Spike were mechanics (of a somewhat nebulous, nonspecific discipline) who befriended the Autobots shortly after they were awakened in then present-day Earth, with Spike ultimately growing up to become a Buck Rogers-style space adventurer as the Autobots' chief human ally, Earth's ambassador to Cybertron and father of his own son Daniel Witwicky when the animated continuity jumped ahead to the then-future (2005) in Transformers: The Movie. Michael Bay's Transformers films make no mention of Spike or Sparkplug ever having existed, but Sam is part of Transformers history none the less: His great-great grandfather, Archibald Amundsen Witwicky, was the Arctic explorer who accidentally discovered the frozen body of Megatron and The Allspark - and got a secret code key to operating said Allspark burned onto his glasses in the process. It was Sam's attempt to sell those glasses on eBay that attracted the first (20th Century) fresh wave of Autobots and Decepticons to converge on Earth in the first place, and Sam wound up caught in the middle of their battles for the next three films worth of stories. The Witwicky Family is wholly absent fro the plot of Transformers: Age of Extinction, but Transformers: The Last Knight brings them back into the fold in a bigger way than ever before. Transformers: Revenge of The Fallen previously established that Cybertronian Transformers had been acting in secret on Earth in a seemingly limited capacity for many years prior to the films, while Age of Extinction revealed that all life on Earth had been wiped out at least once in the pre-human era by the Transformers' mysterious creators in order to create and farm the mineral Transformium. Left unsaid was exactly how the Robots in Disguise "disguised" themselves in the eras before industrial machinery was common. The Last Knight's answer: They didn't. Ancient Autobots lived among humans as far back as the Medieval period, playing key roles in almost all major world events right up until the age of mass-media, at which point they became more secretive and allowed themselves to be forgotten; with accounts of their existence forming the basis for various human legends about magic, monsters and other unexplained phenomena. 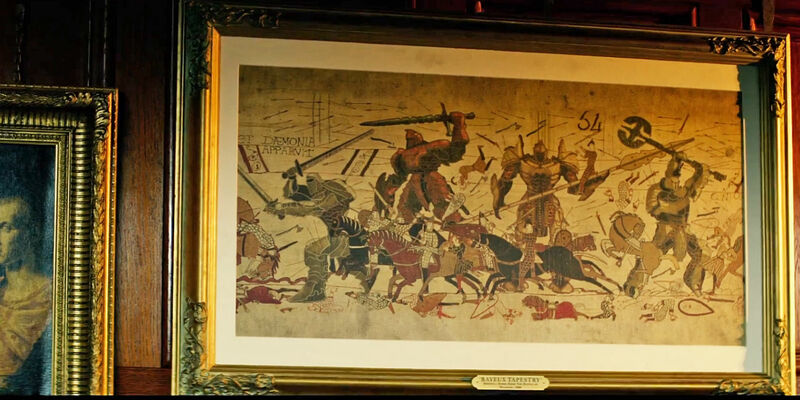 According to the film, this all begins during the reign of King Arthur; wherein a fraud magician named Merlin, who had discovered the hidden crashed ship of some ancient Autobot Knights, talked them into fighting alongside Arthur to turn the tide of a war and establish Camelot. For their part, the Knights left Merlin with a "magic" staff that was in reality a relic of Cybertron, which they had fled to keep out of the grasp of the Transformers' evil creator Quintessa. As revealed by Anthony Hopkins' character, the staff still exists and can only be wielded (in order to thwart the now-impending arrival of Quintessa on Earth) by one of Merlin's blood descendants, whose line - along with the secret history of Transformers on Earth - has been protected/covered-up for centuries by an ancient order of "in-the-know" individuals that (prior to Hopkins himself) included everyone from Abe Lincoln to Harriet Tubman to Albert Einstein. The name of this secret society: The Order of Witwiccans (seemingly a portmanteau of the "Witwicky" name and the Wicca religion, which traces some of the roots of its inspiration to Celtic traditions sometimes also associated with the Arthurian legends). Sure enough, during one of the two separate montages breezing through a rough outline of the Witwiccan Order's activities and membership, eagle-eyed viewers can catch a brief blink-and-you'll-miss-it glimpse of Shia LaBeouf's Sam Witwicky. Exactly what it's meant to imply (beyond acknowledging that the Witwicky family name likely descends from the same place as the Witwiccan Order) is anyone's guess; but it would suggest at least that the family's involvement with Transformer activity on Earth is may not be as accidental as we'd been led to believe. Is it possible that Sam may make a return to the franchise yet? Given LaBeouf's aforementioned public disdain for the franchise, that seems unlikely - but it doesn't preclude other yet-unrevealed members of his family from turning up as characters; especially with The Last Knight's "to be continued" (though evidently without Michael Bay or Mark Wahlberg) ending confirming that the final chapter has yet to be written.